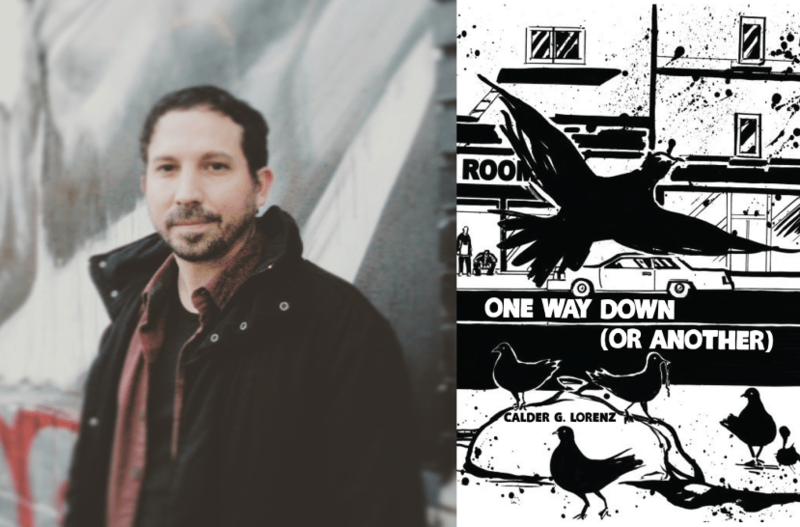 Calder G. Lorenz is the author of One Way Down (Or Another), his debut novel from Civil Coping Mechanisms. Born in Washington D.C., he has lived in numerous other states and Canada, and now resides in San Francisco, California. His shorter fiction has been published in sPARKLE & bLINK 2.4, Switchback, Curly Red Stories, FictionDaily, Two Dollar Radio’s Noise, Literary Orphans, Crack the Spine, Black Heart Magazine, Litro Magazine, The Forge Literary, The Birds Piled Loosely Press, and gravel. He has an MFA from the University of San Francisco and works in San Francisco’s Tenderloin District at St. Anthony’s Dining Room.